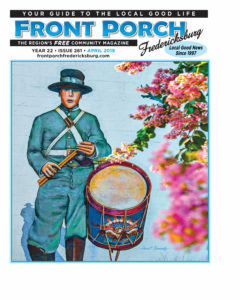 Front Porch Fredericksburg is always looking for writers and artists covering interesting people, place or things from the Fredericksburg area. Contact us! © 2019 Front Porch Fredericksburg. All rights reserved.